Eclectic and Inventive! Highly recommended. I've followed the Hippy Coyote's album series with excitement, and as he continues to grow as an artist, his sound expands. This album doesn't disappoint and displays some very cool sounds. The first two instrumentals "Kung Fu Cowboy" and "Spirit Gun" are extremely impressive, with production recalling the Beatles at their densest, and even more recent productions like the Flaming Lips' "Embryonic". Also scattered throughout this album are thought-provoking poems, and skillfully crafted folk-rock songs. "Kill The Spider" is unforgettable. It's a very catchy, well-written song, performed with the utmost intensity. "The kazoo orchestra on "You're Lazy" is another highlight, again, recalling the Beatles, Sgt. Pepper-era. Overall, a great album with a lot of variety. I'd recommed it. 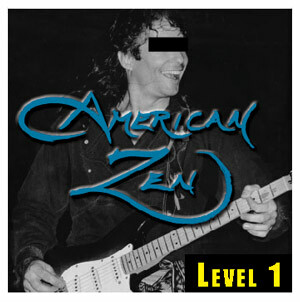 along with the rest of American Zen's releases, "Level 3" being my favorite. Master Zhen has done it again. This CD is awesome. 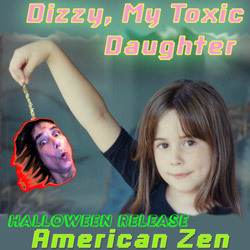 I hope in the future American Zen produces an instrumental CD, and one with more Kung Fu instrumentals. Buddha Kung Fu music at its finest. Coyote's battles with the Mormons resulted in a stalemate, though Coyote did leave... "God Will Protect" explains some of the secrets and rituals of the Latter Day Saints. The flute solo is very Jethro Tull and the backwards guitar solo give this song a classic sound with a modern message. 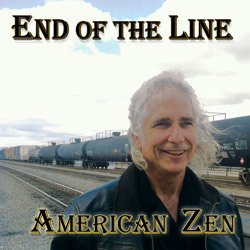 "The End The Horizon" ends the album with an uplifting beat that Coyote really ran with as drummer on their next album, LEVEL 3 = I WANT YOU TO LOVE ME by American Zen. 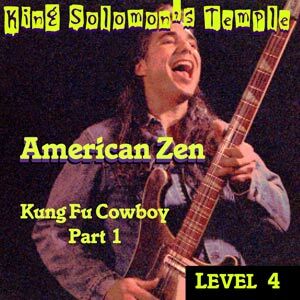 The poetry of LEVEL 2 = CHRIST KILLER is more dramatic than the poetry recited by The Hippy Coyote on LEVEL 1 = PEACE OF MIND by American Zen. Check out "Loyalty" for a very musical rap song. The Coyote has really put together something special here. While he may not have achieved world fame quite yet, he is a master poet, and probably the greatest flutist of all time, as he claims. Hear it, love it, and then hear it again. I promise you will love it. It is up there with PET SOUNDS (The Beach Boys) and BORN TO RUN (Bruce Springsteen and the E Street Band) when it comes to sheer production, but the Coyote's deep music and touching poetry goes beyond anything The Beatles or The Beach Boys ever wrote. AMERICAN ZEN!!! 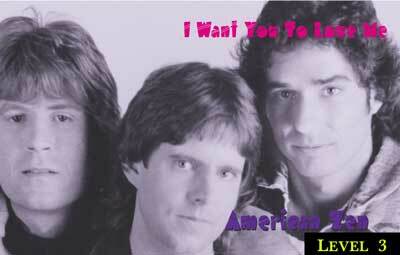 When I first heard American Zen's first album, I thought to myself, "how could it get any better than this?" Well, never trust your instincts. 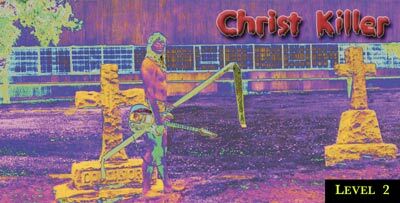 Christ Killer, the second level, may be one of the greatest recordings ever made by humans, and probably aliens too. This album is no buzz killer, it's Christ Killer! A must own. Now that we've got that out of the way, what kind of music do they play? Well, this is a unique disc in many ways. Well get to the biggest part later, but for now, let's focus on the music. American Zen's sound is really pretty hard to classify. There are songs here that probably fit loosely into progressive rock, but most of the music is in a folk rock based alternative style. A lot of times these guys sound a lot like They Might Be Giants and Violent Femmes, but you can even hear a little Jethro Tull on this disc at times. The music is overall pretty darn good, but there are stronger tracks and weaker ones. The production values are a bit of a problem, though. While I have heard discs with far worse recording quality, this one definitely is not in the upper percentile range. Still, this isn't bad enough to take away from the listening enjoyment. Peace of Mind 2: This one starts off feeling like Jethro Tull. Then as the verse enters it's in an alternative rock take on folk rock approach. The chorus has a cool retro rock texture. A midsection features a flute solo and feels like a cross between folky prog rock and spaghetti western music. This is very cool, and I would count it as prog rock, really. It is very dynamic. Black of Night: This is a retro textured alternative garage like type number. This one is just slightly off of mainstream, almost poppy, but just off by a hair. It gets heavier later, feeling almost 'retro textured alternative garage like. This has a killer instrumental break with an awesome classic rock guitar dominated structure. Whose Heaven Is This? : A lightning fast take on an acoustic ballad like arrangement of a surf song start this. This weird sounding cut is fun, feeling a bit like They Might Be Giants or even The Violent Femmes. In The Darkness: This has a dark and dramatic ballad like texture and is the most impressive and effective segment so far. It runs though several prog like segments, then bursts upward for a moment before returning to the earlier melody, this time reenergized and intensified. They power up the speed after a time, then take it into a staccato segment that is very prog like and quite cool. After this runs through, they drop it back to the ballad-like section to carry on, then jump back up into more energized territory all over again. This one is quite a dynamic and very cool instrumental. It includes some purely awesome bass work. This is one of my favorite tracks on the disc. You've Been Sold: A very classic sounding riff creates the intro here. They drop back to an alternarock verse section. This is folky and fun, if a bit weird. This has some rather country like guitar solos, but that's also quite bluesy and very potent, making the outro on this one of the coolest points on the disc. Free The Change: Another very dramatic alternative rock statement starts this and the arrangement on this, with it partially folk rock, partially classic arena rock, partially somewhat weird alternative rock ala They Might Be Giants is an awesome texture. They turn it into a very powerful and lush treatment that is one of the more solid on the disc. This features another smoking instrumental segment. This one has some killer guitar work and a very potent hard rocking structure. It drops back to a mellower movement for the outro. I love this one. Trust Me: A '50's rock structure starts this, then it drops to a bouncy punky rocker that is fun. This gets more fully arranged on the chorus. It's bouncy, a bit quirky and very amusing. This has a bit too much of a '50's rock texture for my tastes, but I can still appreciate it. Simple Lady: The flute and acoustic guitar arrangement lend a Tull like texture to the intro. This song turns into a folk ballad mode for the verse (just acoustic guitar and voice). The flute returns on the bridge, but the cut doesn't do much else for quite some time. Eventually it ramps up in intensity a bit and the flute returns to fill out the arrangement. This is pretty and quite effective, getting quite proggy at times. All Screwed Up: The bouncy folky, They Might Be Giants sound is back on this one. This one is alright and definitely entertaining, but not one of the best cuts on the CD. A Long Way Home: This one comes in again feeling like Tull. It has a decidedly psychedelic texture on the verse arrangement. This quirky cut is another that feels a bit like TMBG. It has its moments, but never really gels all that well. Thank You: This comes in as a traditional bluesy stomp, but as the verse enters it becomes cool quirky alternative pop rock. This one doesn't differ much from the last one, but works much better.